With serene views over farmland to the ocean, this lovely north facing home is perfect for a new family to love and enjoy. A short walk to the park and general store, café at the end of the road and a little further along, more shops and a tavern. Known as a quiet fishing village, Rhyll also offers a boat ramp, storage facilities and a fishing store to purchase all of your needs. 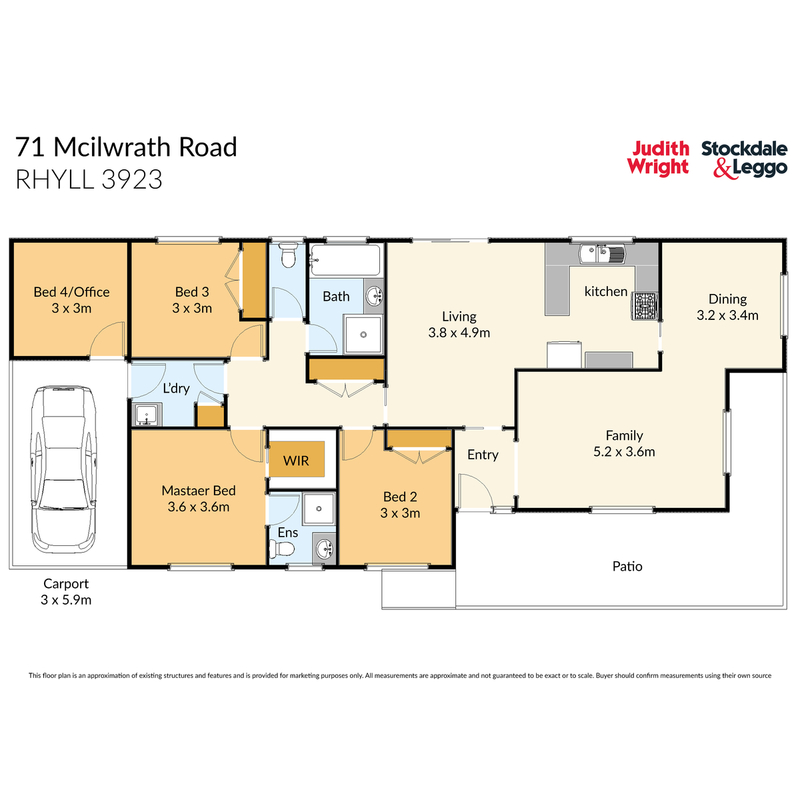 Consisting of three large bedrooms, two bathrooms (en-suite to master) open kitchen/ living/dining with a separate lounge room and further separate dining room. A font deck to enjoy the sun and view as well as an undercover rear entertaining area helps to complete the picture. Another room off the back balcony is perfect for the study/office. Located in a perfect position on an approximate 1017m2 block which boasts a double lock up shed in the rear of the block. A sturdy brick home with blackwood kitchen and floorboards that could be uncovered when removing the lino and carpets. Put your own stamp on this and invest.